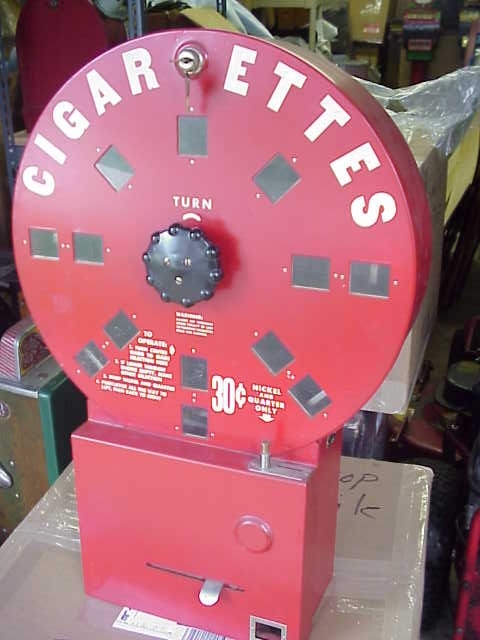 Dial A Smoke Cigarette Vending machine measures approximately 26″ (H) X 18″ (W) X 6″ (D). 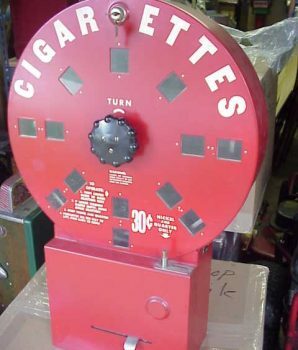 Check out some of our cigar trade stimulators for sale. For multiple items, Gameroom Show offers a combined rate to reduce shipping costs. Don’t hesitate to contact if you would like any further information about any of our antique collector’s items for sale.